A peculiar bird to say the least ... willfully and playfully enigmatic. ... then I found myself laughing uncontrollably and I don't know why. Visit the Rosenberg Archive for selected online chapters. 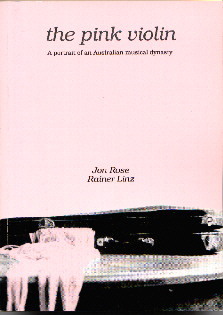 A companion volume to the pink violin (1992), this book contains a collection of essays, articles, letters and diary extracts dealing with the state of music in the closing part of the Twentieth Century, and what it might mean for the future. 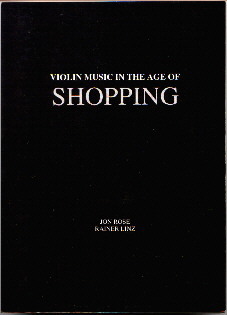 Included among the wealth of material contained in this book are Rosenberg's Revised Timetables (showing the rise of shopping in recent world history), a pictorial treatise on violin imagery in late C20th advertising, an unlikely collection of strange but true stories involving violins - in fact this is a most persuasive contribution to the existing literature on the violin and shopping .